The Labor Day Oktoberfest is excited to announce that it will be holding an international dance exhibition featuring dance companies from the Cleveland area and beyond. You’ll see French Can-Can dancers, Irish Step Dancers, Russian Dancers, Bavarian Slap Dancers, and many more–all in full ethnic costume! Below is an partial list of the dance companies who will be performing. Check back often or subscribe to our newsletter to receive updates. To view the schedule for the Hacker-Pschorr Fest Tent, click here. 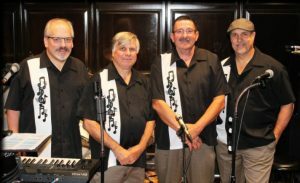 The Brian Papesh band has performed at many private parties, weddings, dances, and community events throughout greater Cleveland and surrounding areas since the 80’s. This seasoned group of professional musicians play a great mix of party music that people love to sing along and dance to. The band can easily switch from playing authentic sounding Rock n Roll, Country, Motown to dynamic sounding Polkas as well as other genres. The band often played at the Banater Club, Sachsenheim Club, and Gottscheer Club, and after six years, the band had grown to forty-four members. At that time, Glatt entrusted the band to Edmund Seifert and Hans Franz. In June 1968, the Cleveland DSB was invited to perform at the Bundesmusikfest in Sindelfingen, Germany, taking first place honors for an unforgettable performance of F.H. Losey’s 1896 composition, “Snap Shot.” 156 brass bands were in attendance, and the DSB performed a total of forty-seven concerts in just sixteen days. Richard “Coach” Reuding and Hans Noel subsequently took over as the DSB toured Canada and performed at Disneyland in Anaheim, California in 1971. The band continued onward and upward with Peter Weber, Ralph Rehner, and Michael Rehner, performing at Disney World and Busch Gardens Tampa Bay in 1975. In April 1979, the band performed on a luxurious Carnivale Cruise of the Caribbean Sea, which included performances in the Dominican Republic, San Juan, and Saint Croix. Continued success followed under the direction of Bob Kozsey, Ferdinand Bleich, Paul Psota, Matt Niessen, Michael Sifferman, Jack Hack, and Michele Esper. Most recently, Roger Radke and John McClellan have organized performances in Detroit, Sandusky, Sharon, and Windsor, as well as local venues such as the Akron Zoo, All Pro Freight Stadium, Altenheim & Shurmer Place, Amherst German Fest, Canal Park, Cleveland Labor Day Oktoberfest, Cleveland Maennerchor, Cleveland World Festival, German Central Oktoberfest, German Cultural Garden, Great Lakes Brewing Company, Heimatland Oktoberfest, Hofbräuhaus Cleveland, John Carroll University, Lenau Park Sommer Oktoberfest, Olmsted Falls Heritage Days Festival, Parker Hannifin, and Sandusky Oktoberfest. 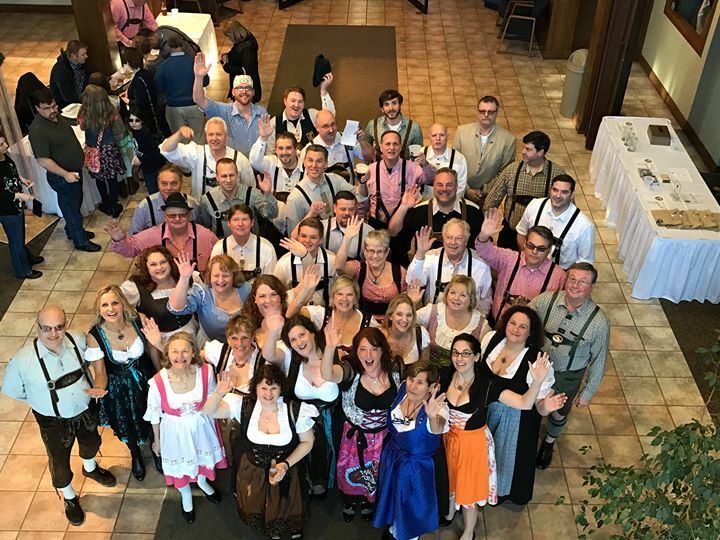 On June 8th, 2017, the Cleveland Donauschwäbische Blaskapelle returned to Germany, performing not only at Hofbräuhaus München, but also with the Original Banater Dorfmusikanten at the Landsmannschaft der Donauschwaben in Haar, Bavaria. The DSB also performed at the U.S. Army Barracks in Grafenwöhr, with Blasorchester Höchst at Bürgerhaus Frankfurt-Goldstein, at Kath. Pfarramt St. Cäcilia in Mosbach, at the Donauschwäbisches Zentralmuseum in Ulm, and with the Wielenbacher Musikanten at Gasthaus Guggemos in Wielenbach. Needless to say, the Donauschwäbische Blaskapelle’s Deutschlandtour was an excellent opportunity to interact with fellow German musicians, allowing the DSB to learn even more about German and Danube Swabian culture from a uniquely local perspective. 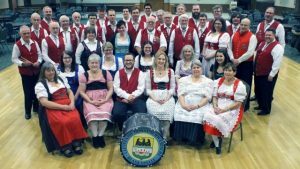 As the Cleveland DSB enters into its 60th year, under the direction of Julie Williams, the traditions of Danube Swabian brass bands continue as the DSB performs long standing waltzes, polkas, and marches. Special thanks to all who have supported the Cleveland DSB, past and present! 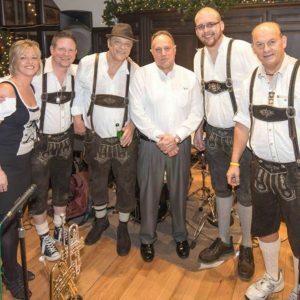 Whether it’s toe-tapping polkas for an Oktoberfest, Big Band Swing, or a Caribbean Party atmosphere, The Klaberheads (aka the Franz Klaber Orchestra or FKO) are one of the premier Oktoberfest big bands in the country. The Klaberheads are known throughout the midwest as a consistent crowd pleaser. It’s a reputation that Erika Klaber’s grandfather, Franz, a German immigrant, began building when he founded the orchestra in 1930. And, it’s one that’s earned The Klaberheads invitations to perform at Epcot Center, Munich’s popular Hofbrauhaus in Newport, Kentucky, and myriad other venues. They especially enjoy playing yearly at the major Oktoberfests in the midwest, including Cincinnati, Columbus, and Minster, and now, Cleveland! The high demand for The Klaberheads can be traced to their top musicianship and their ability to achieve a high-energy connection with their audiences. The FKO Big Band performs at all types of venues… from conventions, to summer concert series, wedding receptions, parties, and dances. They play tunes from a wide variety of musical genres and appeal to listeners of all ages. The G.T.E.V. (Gebirgs Trachten Erhaltungs Verein) D’Lustigen Isartaler are a 501(c)3 tax-exempt non-profit organization (club) created to promote, and foster among its members a genuine love for Bavarian & Austrian traditions, customs, folk dancing, singing and camaraderie, and to uphold and display original authentic Bavarian Tracht (regional clothing); and to support other German & Austrian organizations in their effort to do the same. We have been an active club doing this in Pittsburgh since 1972, which began at Saint Anthony’s (German) Catholic Church in Millvale, North Hills, and officially incorporating in 1975. Now over 40 years later, we have members from all over Pittsburgh and the surrounding area. Oktoberfest is excited to announce that the St. Nicholas Russian Youth Dancers will again be returning to perform at this year’s Oktoberfest. Dressed in full costume, a procession of dancers and flagbearers enters the hall, some holding forth offeratory loaves of bread. Once onstage, they perform original and variation folk dances from Russian, Ukranian, Gypsy, Gregorian and Carpathian cultures. Their repertoire includes ballroom dances from the tsarist era, peasant folk dances and dances born amidst the Russian population in the U.S. Carrying on the long standing tradition of folk dancing in St. Nicholas Orthodox church, the youth dancers were organized in 1985. 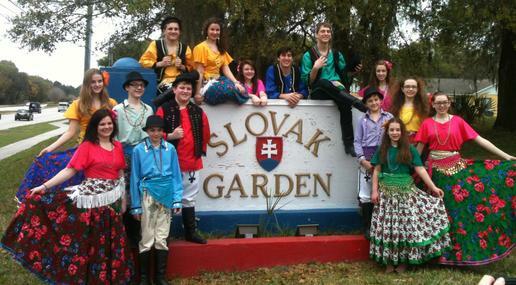 The troupe consists of 35 children, teens and young adults who perform at international, parochial and civic events. A dance teacher for many years in the Akron and Pittsburgh areas, Director Rosemary Pyrch Simpson organized and has directed the ensemble since 1985. The St. Haralambos Hellenic Dancers are brought together by a common love of Greek folk dance and welcome you to experience the spirit of Greece through traditional and modern dance. Each perfomer brings their own artistic style into every step while the troupe strives to maintain the authenticity and spirit of Greek folk dance in its original social, traditional and historical context. The result is a stirring presentation highlighting the tradition of Greek dance in a uniquely choreographed, entertaining fashion and to make them accessible to a wider audience. 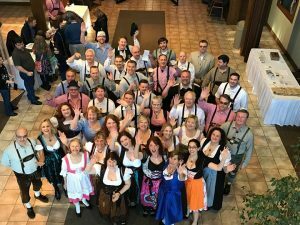 Oktoberfest is excited to present Deutscher Musik Verein (or auf englisch, the German Music Society) of Cleveland, Ohio, USA. Deutscher Musik Verein is a 25-piece German brass band, under the direction of award-winning musician and band leader Fred Ziwich. Beyond orgainzing a wonderful band, Deutscher Musik Verein has done exceptional work as an organization–its mission being to preserve and celebrate German musical heritage and culture. Nominated for a Grammy in 2007, Fred Ziwich of North Olmstead, Ohio, is one of the seminal musicians in the world of polka. If he were said to have an emphasis, it would likely be the Slovenian style. Well grounded musically, Fred has earned a Bachelor of Music Education (BME) degree from Indiana University. His own award-winning band–the International Sound Machine–has produced numerous recordings since its inception in 1977. The National Cleveland-Style Polka Hall of Fame has honored Ziwich on multiple occassions with Musician of the Year, Button Box Musician of the Year, and Recording of the Year honors. In addition to receiving numerous awards, Fred has worked as a studio musician and has shared the stage with such well-known musicians as Hank Haller, Don Lipovac, and Adam Barthalt. For 50 years, Cleveland native Tessie Burke has dedicated her life to teaching Irish dance. Her years as a teacher have been rewarding for many reasons, not the least of which has been overseeing the emergence of her first world champion, Garrett Coleman. Garrett will be dancing toe to toe with acclaimed local talents, Katherine Stull and Torrie Duns (also of the Burke School), as well as with younger brother Kieran, who placed 7th in the “Worlds” held in Belfast. The Singing Angels, founded in 1964, is the musical voice of the Northern Ohio Children’s Performing Music Foundation, Inc., a registered 501(c) (3) non-profit organization. This arts and youth development group is dedicated to teaching the highest level of artistic achievement in the performing arts. The mission is to engage youth from all communities in quality music and performing arts education that teaches teamwork, builds confidence, and provides a foundation for life. Three Angel choruses and small groups perform over 100 concerts a year featuring a wide variety of music, including Broadway, pop, gospel, patriotic, barbershop harmony, light classical, and good old-fashioned sing-a-long. Over 275 children, ages 6 to 18, take part in the organization. The Singing Angels hail from more than 70 communities in 8 counties, and represent numerous races, creeds, and socio-economic backgrounds. For nearly twenty years, Gottscheer Tanz Und Spielkreis has taken it as its mission to nurture and promote the tradition of Austrian folk dancing. Located in Russell, Ohio, there is no mistaking the Gottscheer Club with its distinctly Alpine facade. 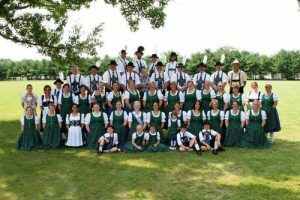 Including dance groups for both a children and adults, Gottscheer ensures that dancers of all ages can join in to celebrate the wonderful cultural heritage of Austria. 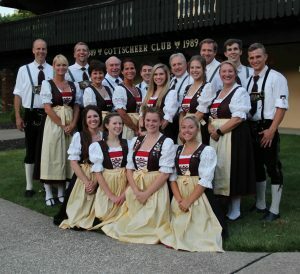 Some of the Gottscheer members also participate in an Alpine music group. In addition to several club functions, Gottscheer Tanz Und Spielkreis has performed at various cultural and ethnic events in the greater Cleveland area, as well as other states and in Canada. 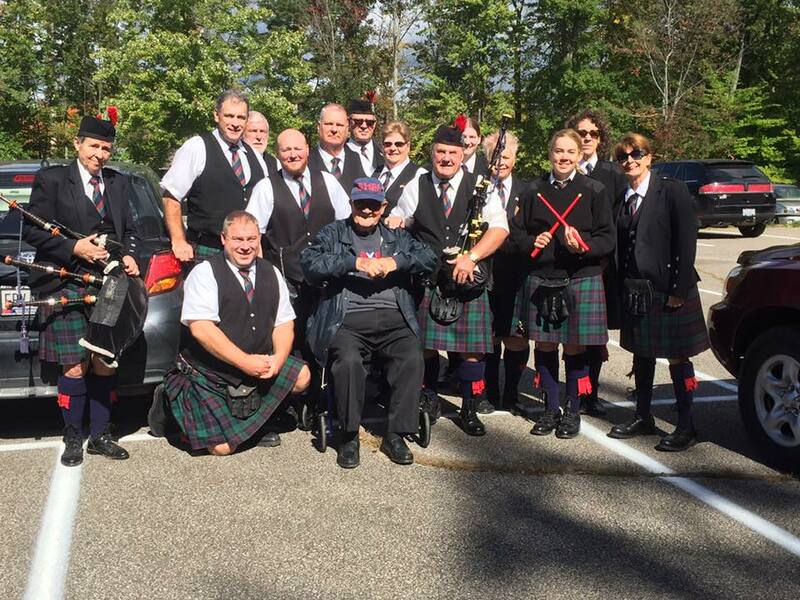 The Red Hackle Pipes & Drums were first concieved as an idea at the 1996 Ohio Scottish Games. Sandy Hain’s students asked if it would be possible to form a competition band. The first practice was in Jan ’97. The band’s first competition was at the Ohio Scottish games that year. In ’98 the season began with the Edinboro Highland Games at wich the band placed for the first time. Many more competitions, parades and social events followed including, the World Championship in Glasgow, Scotland. The Red hackle Pipes & Drums are proud of its focus on keeping the Scottish tradition alive, with its strong leadership and its open door policy to any new members. The local Cleveland, OH band is active in many parades and social events around the community. The wearing of the Black Watch cap badge along with the Red Hackle on our Glengarry bonnets is in honor of Sandy Hain’s service in The Black Watch. He served as Pipe Major of the 2nd Battalioon Black Watch, The Royal Highland Regiment. The Black Watch was raised in 1735 and was awarded the Red Hackle in 1795 in recognition of the Regiment’s many years of service. It is the only unit in the British Army entitled to that honor. We are honored to be able to were the Red Hackle and more importantly proud of being part of an organization filled with many great family and friends. Our membership includes a variety of ages – some as young as 2 and some as mature as 70+! We are always growing and welcome new members. The only requirement to join our organization is a respect for and appreciation of our Bavarian and Tyrolean culture. 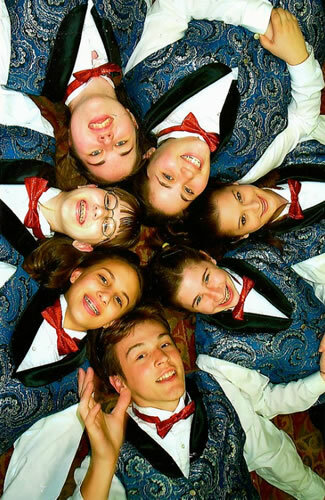 Based in Mayfield Heights, Ohio, The Jenny May School of Highland Dance is comprised of approximately 30 dancers ranging in age from 4 to 20. The dancers compete and perform in the U.S. and Canada year-round. Students of the Jenny May School of Highland Dance are the official dancers of the Scottish Heritage Association of Northeast Ohio. 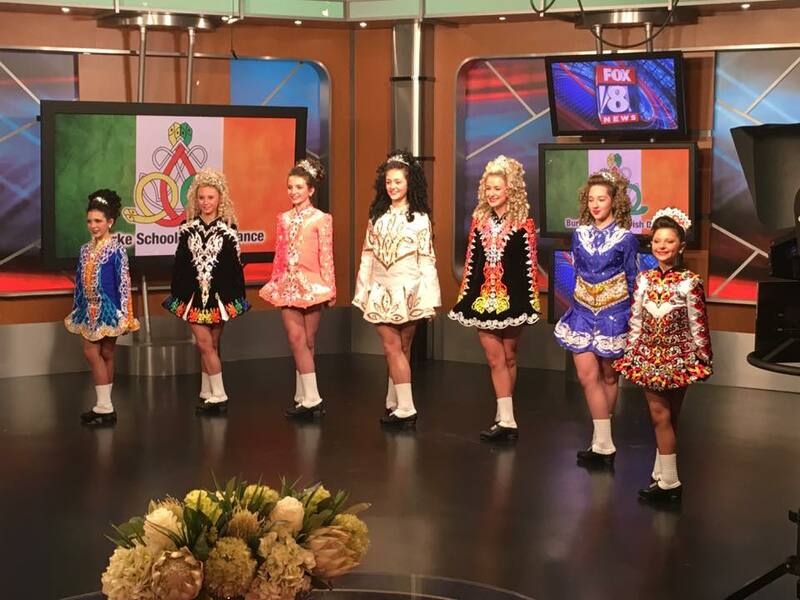 The dancers also perform regularly with Cleveland Kiltie Band, North Coast Pipe Band, and Red Hackle Pipes and Drums as well as at shows at the Renaissance Hotel in Cleveland, festivals and weddings. The Jenny May School of Highland Dance is also part of the touring show “Touch of Tartan” which promotes the music, dance and culture of Scotland. The school was recently recognized by the Northeastern Ohio Tartan Day Committee and Cleveland City Council for its work in preserving Scottish heritage in Northeast Ohio. Any one of these irrepressible, high-energy dancers will tell you that the Cancan is the ultimate, “extreme sports” of the dance universe. The dance is an athletic sprint from beginning to end, punctuated by high kicks, flying petticoats, and individual displays of dance prowess. You’ll see for yourself why this dance would have been outlawed in Paris in older days, when a glimpse of a lady’s ankle would have been shocking! MGORCD have been representing France at various events throughout the Midwest for the past 16 years. The “PIAST” Dance Ensemble was organized by Alliance of Poles current President John Borkowski in 1992. The name “PIAST” is the family name of the first dynasty of Polish kings who ruled Poland from 960 to 1370 and who unified and developed the country into a powerful European state. The “PIAST” Ensemble has different authentic costumes for each dance, most of which are imported directly from Poland and tailored especially for “PIAST”. The present group has been together for two years and features dancers ages of 13-18 who carry on the legacy of Poland through Polish song and dance. The choreographers of the “PIAST” Dance Ensemble are Agnieszka Kotlarsic and Malgorzata Kacka. Co-ordinators of the group are John and Ligia Borkowski and Ewa Trzeciak. One of the dances performed by “PIAST” is called “Krakowiak”—a regional dance native to Kraków, Poland. The Krakowiak is a couples group dance, led by the first couple — in olden times, often the bride and groom. Costumes are original and traditional. Included in the dance Krakowiak is the Kraków Lajkonik—one of the oldest Kraków folk dances, dating as far back as the 13th century. The Alliance of Poles “PIAST” Ensemble will also perform a regional dance from Green Kurpie in north central Poland. Head pieces with colorful ribbons identify women from the Kurpie region of Poland. Based on the traditions of the Beskidy and Zywiec regions, the “PIAST” Ensemble will also perform mountaineers’ dances. The mountaineers—gorale—typically sing in groups, and their costumes are marked by distinctive shoes called “kierpce”. Mountaineers’ dances are divided into two segments: single dances (“kolomajki”) and group dances (“hajduk”). The performance is centered around the mountaineer, who is characterized as hard, infatuated with his land and impulsive. The Alliance of Poles “PIAST” Ensemble has performed by request for former Cleveland Mayors Michael R. White and Jane Campbell, the organizers of the Annual Lorain International Festival, and most recently, the Annual International Services Center Festival and Ohio State Fair in Columbus, Ohio. Thanks to their extensive repertoire, skill, and colorful authentic costumes, they are often called to perform throughout the Polish-American Community. Morava Folklore Group includes a young generation of dancers ranging in ages 5 years and older. Our goal is to preserve Serbian culture and tradition through our folk dance and costume. Our group performs in festivals across North America and continues to be supported by the Serbian community. That question eventually led to his founding of one of the most successful Slovak dance groups in the country: the Lúcina Slovak Folklore Ensemble. His late wife Cindy and two of their four children, Frances and Rose, would later dance in the Ensemble. Throughout the years Tom has always supported and advised the group, serving as director and honorary director, and even now, sets aside time to assist the children’s group. He and his family currently reside in Parma. Current instrcutor, Nadezda “Nadia” Oros, was born in the small eastern town of Prešov, Slovakia. She began dancing as a child and by high school, she joined “ODEVA”, an all girls Slovak folk group. In 1985 Nadia auditioned and was accepted in the renowned Slovak Folk Ensemble, “ŠARIŠAN”. Šarišan artistically adapted the traditional folklore dances and music traditions of the Eastern Slovak regions of Šariš, Zemplin, Spiš and Gemer. Their repertoire is original and unrepeatable and remains a significant representation of Slovak cultural heritage all over the world. As a company dancer with Šarišan, Nadia toured throughout Slovakia and across Europe including the Czech Republic, Bulgaria, Hungary, Poland, Yugoslavia, Switzerland, France, Russia, Portugal, Belgium, Spain and Italy. In 1992, Nadia made her debut in the United States and Windsor, Canada. She performed in cities across the United States, including Chicago, Pittsburgh and Detroit. It was in Cleveland that the tour ended and where she decided to stay to explore American culture. We are grateful to Nadia for her many contribu- tions and continued dedication to Lúcina Slovak Folklore Ensemble. The knowledge and experience that Nadia brings to Lúcina ensures that we are able to continue our mission of preserving and promoting Slovak culture. Lúcina has given Cleveland many years of Slovak folklore, but more importantly, it’s given its members and the community a place to celebrate their heritage where memories and friendships will be cherished for a lifetime.